#Teatotallers 2019 Is Coming With Beau-Tea-Ful Surprises You Cannot Miss! With winter, comes the season of hot cups of Chai and rusk! If you’ve grown up in an Indian household, you know the first thing to come out of the kitchen every morning is a tray full of cups of chai to bring those warm and fuzzy feelings that will give you all the energy to kickstart your day. So start your 2019 and add some Teaffaire to your kitchen closet to start your new year on a bright note. Here’s what all we suggest. And Teaffaire has all kinds of naturally blended teas you need to try this season. Topping their season’s favourites are Saffron Kashmiri Kahwa, Exotic Masala Tea, Green Rose Tea, White tea, Darjeeling Green Tea and various other distinctive flavours you cannot afford to miss if you’re a true chai lover. 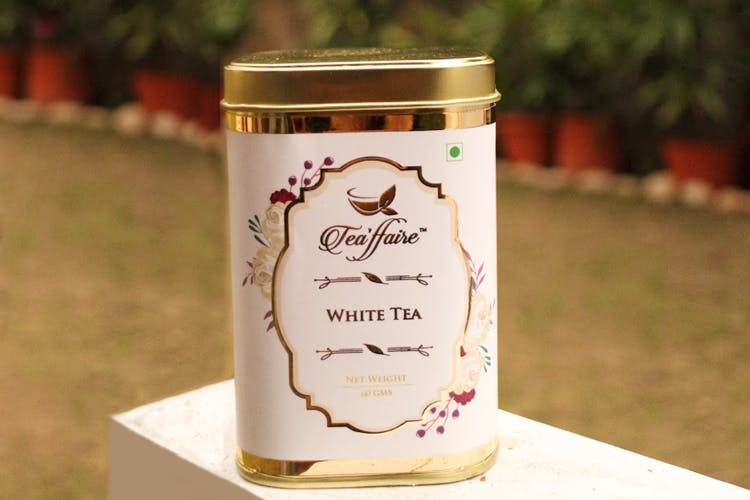 What started as a simple sip turned into a passion to bring you the finest blends and Teaffaire is giving you all the reasons to start great conversations with hot cups of chai. From herbal green teas to enchanting black teas, they’ve got it all under their umbrella and you will want to get them all and become a perfect host this winter. So order these and get ready for a tête-à-tête with your bestie. Gift For A Chai Lover! Not only they have a lovely collection, they also are making gifting convenient with their stunning packaging. So, if you’re looking for an ideal housewarming gift or an apt gift for a colleague or your boss, their gifts packs make the perfect choice. Check out their entire collection, because your eyes will be wide open once you see the elaborate tea their feed entails.